The weather was on our side for todays game and to those who prayed to the sun gods - thank you. Thanks go to Ladybank Golf Club for hosting our event today. The course was in excellent condition which reflected in the scores that were returned. Thanks also go to the bar and catering staff for tending to our needs throughout the day. Well done to both Lorna Bennett and Lorna McKinlay who travelled to Ireland with the Scottish Senior team to play the Irish Seniors in the annual Mary McKenna match. Unfortunately the Scots lost 10 - 2 but both the Lornas contributed by helping to put the two points on the board. If you need to cancel please inform Linda Dyball as soon as possible. We now have a full entry for the Spring Meeting - Championship Qualifying Round at Ladybank on Sunday 24th April. A waiting list is in operation. If you already have your entry in and are on the waiting list you may still get a place as there may very well be cancellations before the date. Despite early showers trying to dampen the spirits of the 32 pairs in the draw for the Opening Greensome, it finished in lovely sunshine albeit a bit chilly. The course was in lovely condition and combined with the friendly St Mikes welcome and delicious food, everyone appeared to have a lovely day. On a blustery and cold but dry day on Wednesday 6th April the Winter Foursomes Finals were played over the Eden Course at St Andrews. Some great golf was played by all the finalists and as always in a friendly manner. Our County Captain Linda Dyball decide it was time for a change of sport and thought fishing may be a good start!!!!! 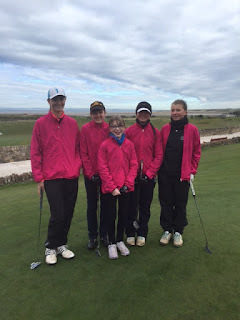 Seven Juniors played at Crail on the Craighead course. They started in light drizzle and finished in lovely blue skies and sunshine. 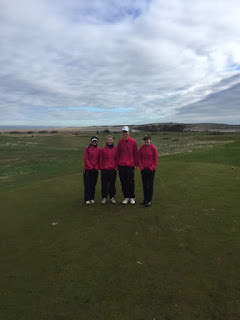 All the girls enjoyed their game on what is a challenging course with fantastic but tricky greens. I thoroughly enjoyed walking around and watching some very good golf being played. 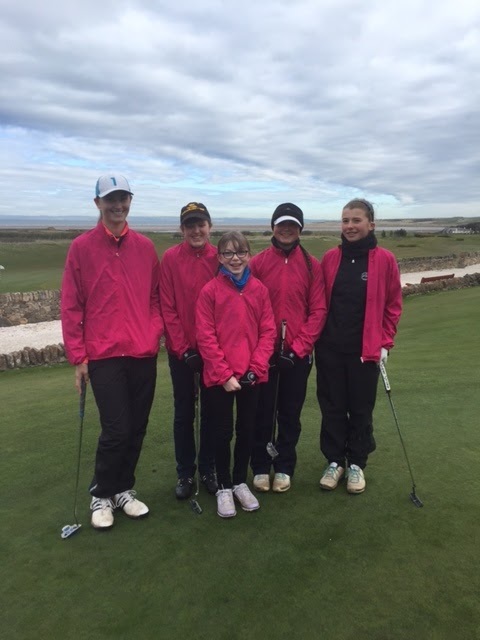 I look forward to the Summer Junior meeting at Lochgelly Golf Club on Sunday 19 June 2016. Congratulations to Evanna, Hannah and Anna who all had handicap reductions.